Hours: Monday-Thursday 7 a.m. to 3:30 p.m.
Friday Hours: By appointment only 8 a.m. – 11 a.m. Hours: Monday-Friday 9 a.m. to 4:30 p.m. 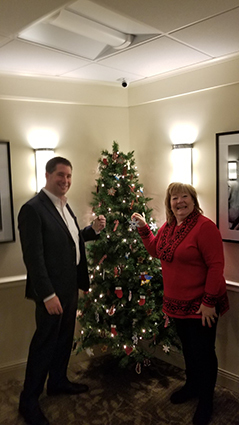 I recently joined with other members of the Pennsylvania General Assembly’s bipartisan Nuclear Energy Caucus (NEC) for a special meeting in Londonderry Township, at which we released the “Bicameral Nuclear Energy Caucus Report.” The report includes four options for the future of the state’s challenged industry. 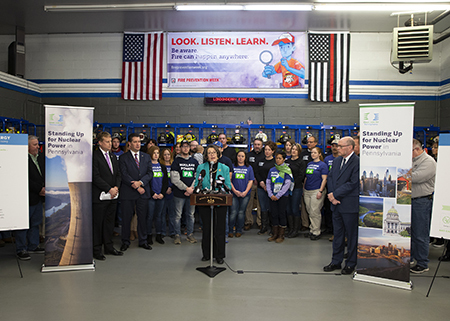 The premature loss of Pennsylvania’s nuclear plants, including Three Mile Island, would be a devastating and permanent blow to Pennsylvania’s communities, economy, and environment so we took a hard look at what could and should be done to prevent this and future devastation. As the 2019-2020 legislative session gets underway, I will be focused on continuing the dialogue with our colleagues in the General Assembly regarding the actions we can take detailed by the report. The full report can be viewed here. To hear my podcast summary of the report, click here. 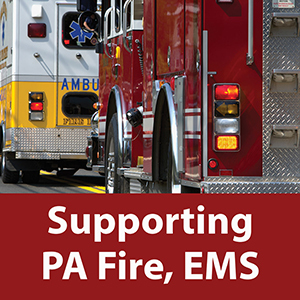 With fire and ambulance services continuing to struggle across the Commonwealth, a 39-member commission created by lawmakers to study the situation recently issued dozens of recommendations. Statistics show the number of volunteer firefighters has shrunk from about 300,000 in the 1980s to 38,000 today, according to the Pennsylvania Fire and Emergency Services Institute. Ambulance services are facing similar challenges for both volunteers and paid staff, leaving communities potentially vulnerable in emergency situations. To reverse this trend, the commission suggests several strategies to boost recruitment and retention, including providing Length of Service Award Payments (LOSAP) and other benefit programs, funding basic fire and EMS training at the state level, and offering incentives to employers to permit trainees to attend fire and EMS training. To further enhance training accessibility, the commission recommends including public safety as a trade/career preparatory program at career and technical education centers across the state and restoring funding for public safety training courses at community colleges. Action on recommendations in the report would build on two important initiatives enacted earlier this year to boost funding for the state’s ambulance services: increasing Medicaid reimbursements for Basic Life Support and Advanced Life Support services and requiring both private insurers and Medicaid to reimburse for treatment provided regardless of whether transport takes place. 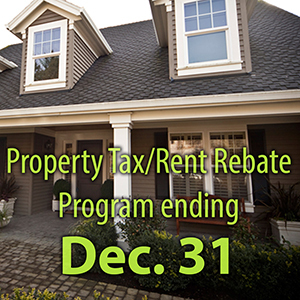 Senior citizens are reminded that the deadline to apply for the state’s Property Tax/Rent Rebate program is Dec. 31. Applications are available online and at my Hershey office, as well as municipal offices and libraries in the 106th District. Eligible participants can receive a rebate of up to $650 based on their rent or property taxes paid in 2017. The program benefits eligible Pennsylvanians who are 65 years or older, widows and widowers 50 years or older, and those 18 years or older with permanent disabilities. For complete eligibility guidelines, visit the link below. Applicants should be prepared to provide all the necessary income, property tax or rental information required to process claims quickly and accurately. Claimants who already applied for their rebates may check the status of claims online at www.revenue.pa.gov or by calling, toll-free, 1-888-PATAXES. Applications for the 2018 rebate program are expected to be available in late February 2019. Pennsylvanians with low-level offenses on their records who have gone 10 years without a subsequent arrest, prosecution or conviction will have their records automatically sealed under a new law taking effect this month. Act 56 of 2018 allows records of second and third-degree misdemeanor criminal convictions to be automatically sealed after a 10-year period without subsequent offenses. The law does not apply to violent offenses or those committed with a firearm or other dangerous item; sexual offenses; cruelty to animals; or corruption of minors. This legislation balances the opportunity for low-level, nonviolent offenders to move forward, while at the same time not shielding the records of violent criminals. 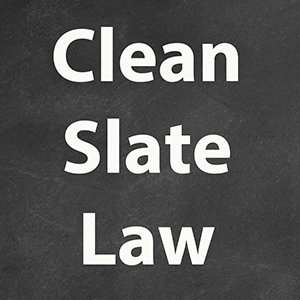 Pennsylvania was the first state in the nation to enact this “clean slate” legislation. Get Your 2019 Fishing License! 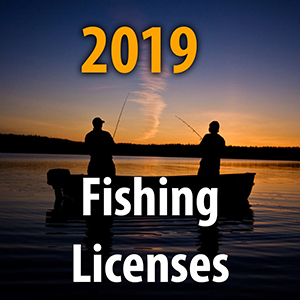 Fishing licenses for 2019 are now available from the Pennsylvania Fish and Boat Commission (PFBC) and its more than 700 issuing agents, as well as the Dauphin County Treasurer’s Office. The price of a resident fishing license this year is $22.90. The most popular add-ons, a trout-salmon stamp and a Lake Erie permit, cost $9.90 each, or $15.90 for a combination permit. Customers will also have the option of purchasing several new voluntary permits, with funds generated by their purchase being reinvested into their respective programs. The voluntary permits include: bass ($11.90); musky ($11.90); habitat/waterways conservation permit ($11.90); and wild trout and enhanced waters permit ($26.90). Licenses are valid for up to 13 months, from December 2018 through Dec. 31, 2019. For more information about fishing in PA, and how to give the gift of fishing by purchasing a gift voucher, visit www.fishandboat.com. While the holiday season is often the most charitable, consumers are encouraged to be vigilant and watch out for scams aimed at taking advantage of their good will. For your protection, the Pennsylvania Department of State’s Bureau of Charitable Organizations maintains a publicly accessible online database which contains all legally established charities in Pennsylvania. Consumers are encouraged to verify the legitimacy of any charity using this database prior to donating. 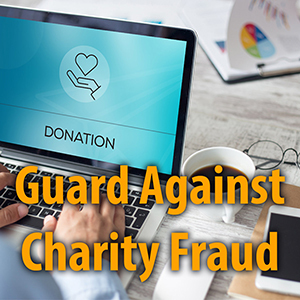 To learn more about an organization prior to donating or to report suspected fraud, you may also call the bureau’s toll-free telephone hotline at 1-800-732-0999. For additional information about protecting yourself while giving, click here. 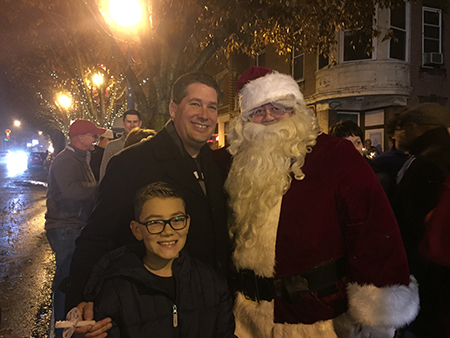 ‘Tis the season for holiday happenings throughout the 106th District! My family and I have been trying to make it around to all the community events. 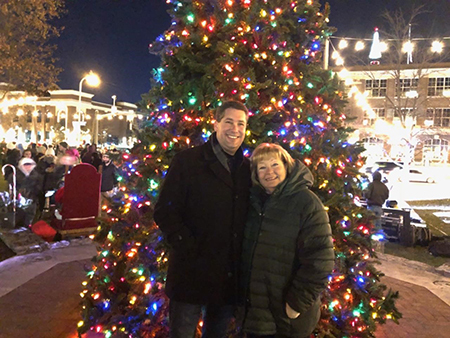 We had a great time at the Hershey, Hummelstown and Swatara tree lighting events, as well as the Capitol tree lighting ceremony in Harrisburg. We also stopped by breakfast with Santa events at Middletown Home and Lower Swatara Fire Department. 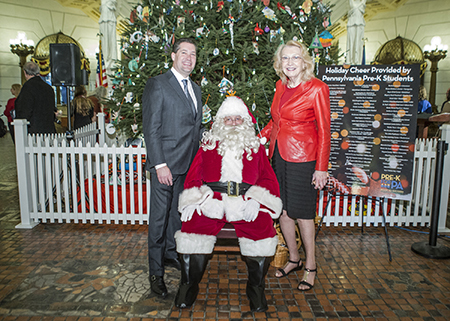 That Santa really gets around this time of year!